Industry players are getting ready to present their new products and novel technologies as it enters the second season of the year. This week at the National Association of Broadcaster, leading display makers including LG, Samsung and Sony have all introduced their advanced signage solutions at the show. LG was named by the National Association of Broadcasters (NAB) as the exclusive “Official 4K UHD TV Partner” for the 2019 NAB Show and installed more than 160 advanced LG 4K Ultra HD screens, ranging from 32- to 70-inch screen sizes, throughout the Las Vegas Convention Center during the event. LG Business Solutions offered a wide range of UHD digital signage and commercial displays to meet the industry’s goal of telling the Next Gen TV story in fresh new ways. The centerpiece of the main stage was a 12.5 ft by 7 ft 2.0 mm pixel pitch LG Direct View LED display, delivering sharp color, high ratio contrast, high saturation and brightness levels optimized for broadcast applications. 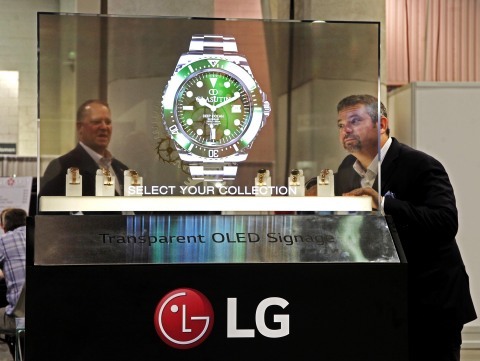 In addition, the company also showcased a transparent OLED display which allows viewers or a camera to see people and objects behind it while present images. Samsung also participated in the event and showcased its latest portfolio of display solutions for the broadcast industry. The Samsung booth was featured with the company’s AI technology equipped QLED 8K signage, fine-pitch HDR LED displays designed for commercial settings and bezel-less screens for professional applications. The 8K QLED Signage paired with AI technology captures the attention of customers including store owners and advertisers. With a resolution of 7,680 x 4,320 pixels, individual pixels in an image become imperceptible to the human eye. 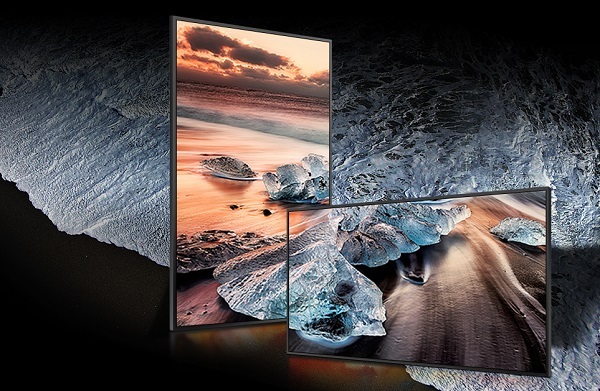 The QLED 8K display delivers enhanced color presentation through local dimming and Quantum Light Control as well as features HDR10+ along with 4,000nit peak brightness. The IF Series with fine pixel pitch in P1.2 leverages LED HDR scene adaptation technology can demonstrate realistic picture with peak brightness levels. 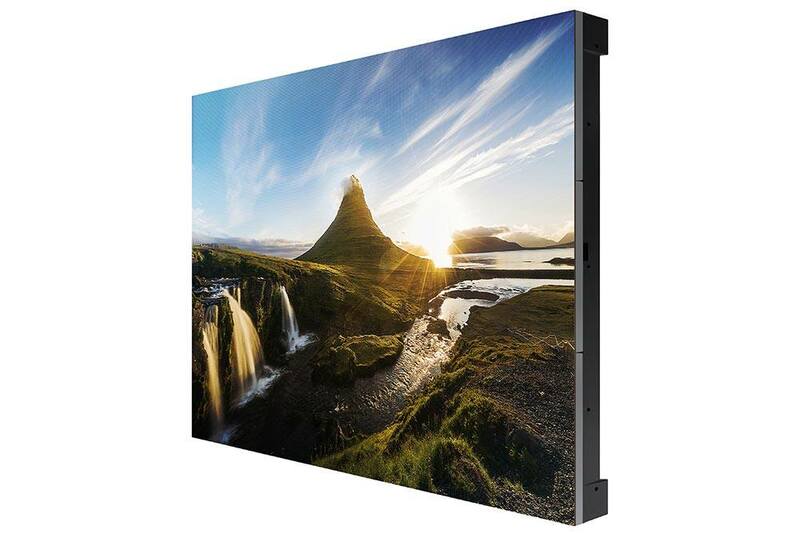 The series also enable the RGB colors accurately in low grayscale setting and can be installed in indoor environments with low light levels, such as galleries, museums and shops to display content at optimal quality with uniform and precise color expression.